A cheerful shoot-'em-up showing just how far a rogue branch of the Provos will go to liberate Belfast and Derry and reunite Ireland. Aging IRA firebrand Tom O'Donnell has a vision: a deal with Iranian arms merchant Abu Musa for enough weapons to honeycomb the North and force the Brits to agree to a UN peacekeeping mission. In return, O'Donnell's strongman extraordinaire Brian Hennessy will go to the US to eliminate antiterrorist super-imperialist Jack Halloran and his well-armed cronies. 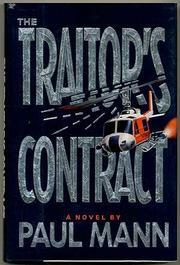 But from the very beginning, when Hennessy's helicopter attack on Halloran's Manhattan skyscraper misses its target (though killing 174 lesser souls), Halloran shows as much muscle--mostly in the form of old Royal Navy crony Colin Lynch--as Hennessy; when Hennessy snatches Janice Street, Halloran's former (and Lynch's present) lover, and spirits her off to Donegal, Halloran just reassures his buddy the President that he'll lay off covert operations and then goes after her with missiles blazing. Like everybody else in this hard-cover debut, Hennessy is protected by layers and layers of booby traps, trip-wired grenades, and bulletproof armor, but since they've all been shattered, wasted, and vaporized, dead before their Uzis hit the ground (a canine victim, killed after a finger-lickin'-good snack, is said to be in heaven with Col. Sanders), what chance can he have? Rousing, mindless fun.